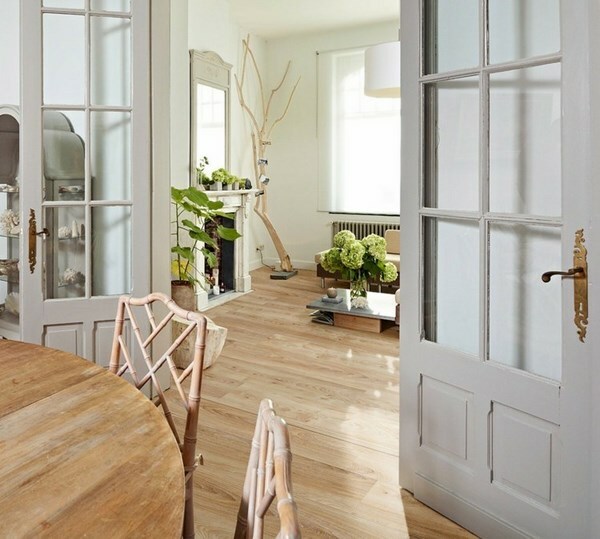 Laminate flooring is one of the most popular and affordable floor covering options and when you are planning a new flooring for your home, this is one of the options to take into consideration. 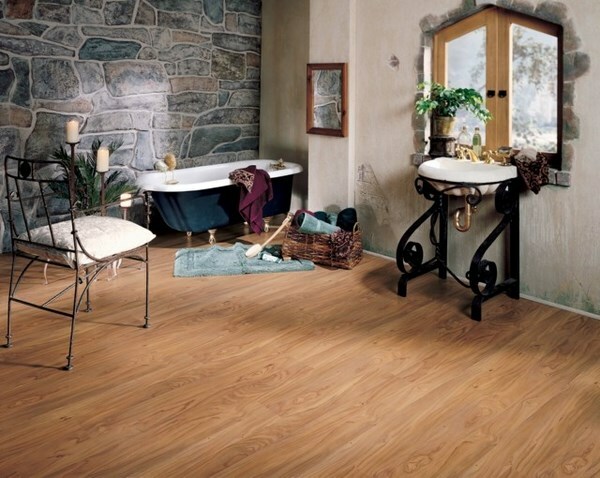 The market currently offers a lot of options for laminate flooring. Maybe you cannot choose a specific color or grain or which type of floor will be most suitable for your home or a particular room, for example, the bedroom. To many people, flooring is something that they consider as an investment for life and once installed it should not be replaced. 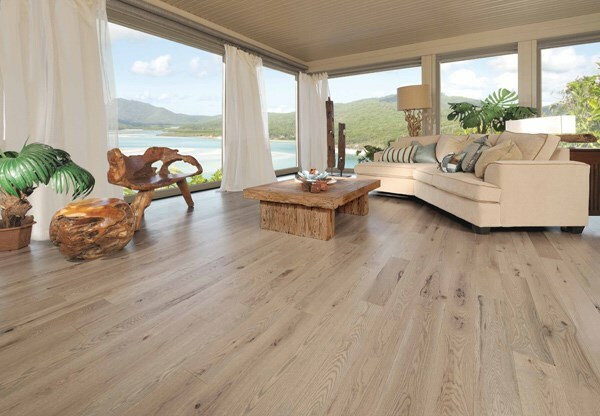 However, the market offers new and more flexible options and we shall look at the advantages and disadvantages of laminate flooring, the design options and the benefits that this material has to offer. Laminate flooring is one of the most popular types of flooring, imitating the appearance of solid wood flooring or parquet flooring. The major difference between solid wood and laminate flooring is that laminate wood flooring is made in layers where the bottom layer is designed to be moisture resistant so that the floor boards would not warp. The core of the laminate board is made of high-density fiberboard (HDF) which is reinforced by mixing it with a special resin which adds to the moisture resistance and increases the durability of the boards. 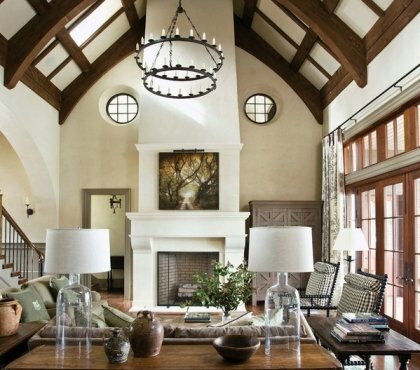 The design layer is a highly-detailed image with high resolution of wood, stone, metal, marble or any other material. In simple words this is the layer that defines the appearance of the board. The top layer is the “wear layer” which provides the resistance to stains, scratches, fading or damages from the daily traffic. 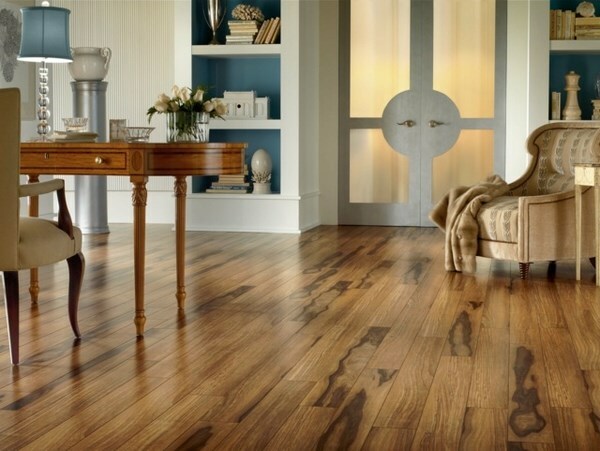 With the appearance of laminate flooring in the 1970s, the truth is that the material was created as an inexpensive and affordable option to hardwood floors, it quickly gained popularity among homeowners, as people could get decent and durable flooring that looked like wood at a fraction of the cost. Back at that time the appearance was somewhat of a drawback as it had a more plastic look and not so much of a genuine wood. However, nowadays the manufacturing technology has significantly improved its quality and it has become much stronger and more durable than its earlier versions. 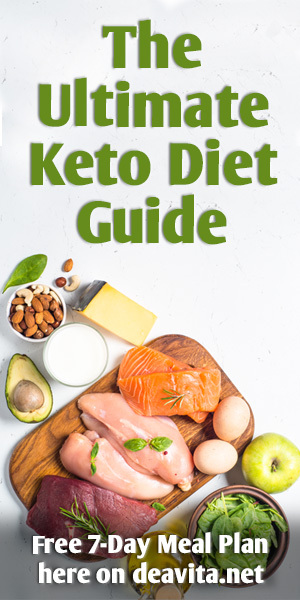 At the moment the technology has advanced significantly and high quality products contain a minimal amount of formaldehyde and other impurities, so it is quite safe and has no negative impact on human health. Thanks to the modern technologies the planks imitate any wood species as texture and grain as well as other natural materials like granite, marble, etc. 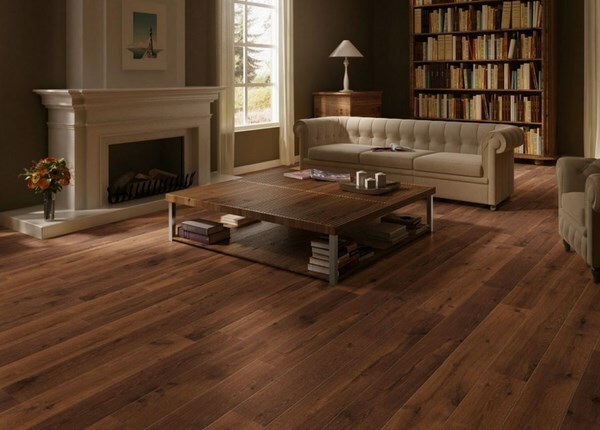 In any case, before you buy your laminate flooring you should ask for information for the structure of the material and make sure there are no harmful substances. 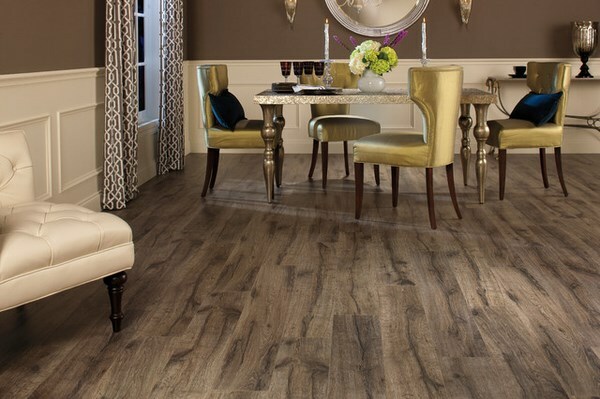 Like all decorative materials, laminate has its own strengths and weaknesses. 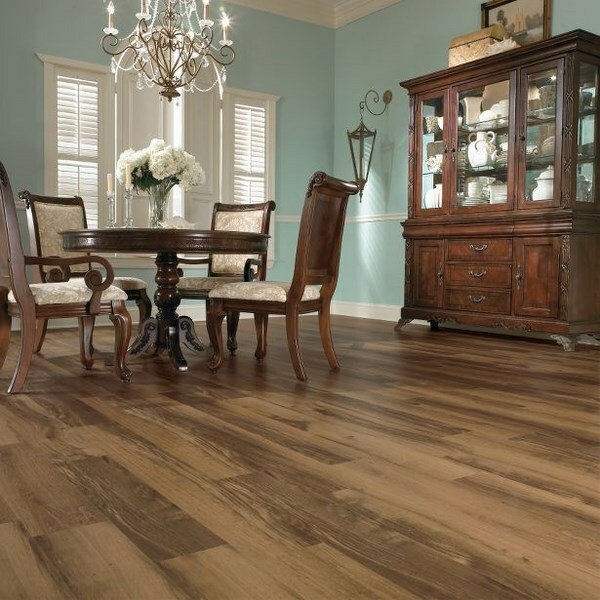 To avoid mistakes when choosing your flooring, you must first weigh the pros and cons and see whether it meets your criteria for quality, durability, appearance, etc. 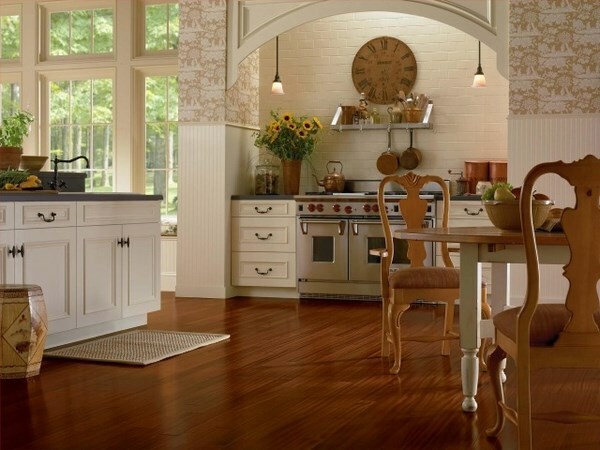 What are the advantages of laminate flooring and the benefits that this type of flooring offers to the homeowners? Durability and resistance – laminate flooring is resistant to abrasion, stress, pressure and heavy object do not leave dents which means you can move furniture on wheels without being worried that scratches. 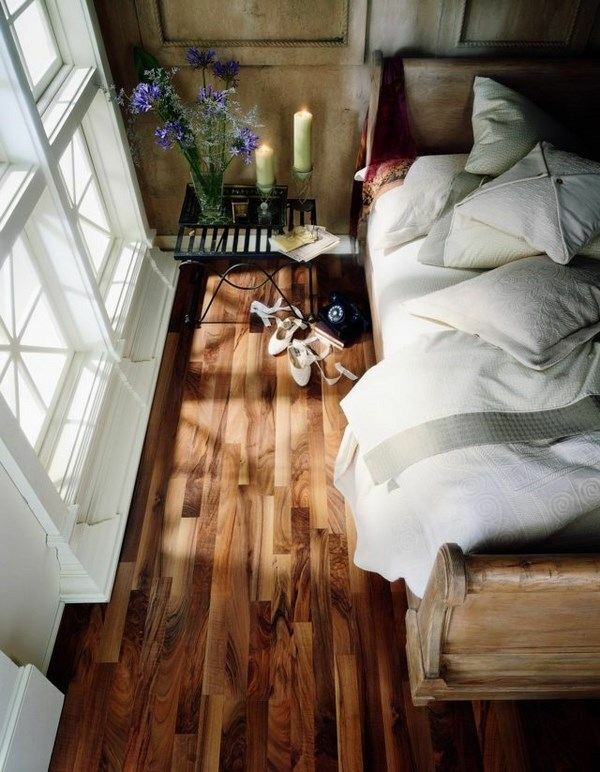 Laminate flooring is also resistant to high temperatures and will not lose its color when exposed to direct sunlight. In addition, the floors are resistant to impacts, stains and water, of course, the spills should be wiped up quickly. 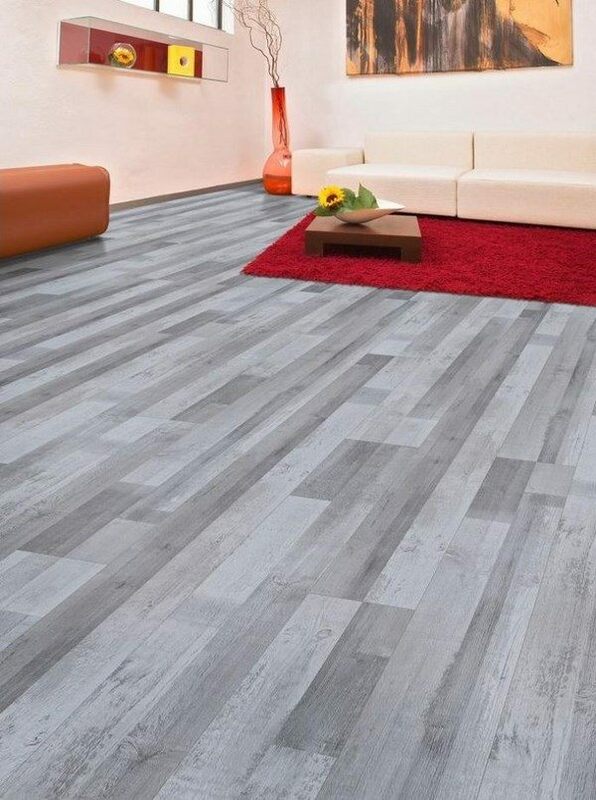 Depending on the model, manufacturers give a warranty period of 15-, 20-, 25- or 30-years which makes this type of floor one of the most durable and lasting options. 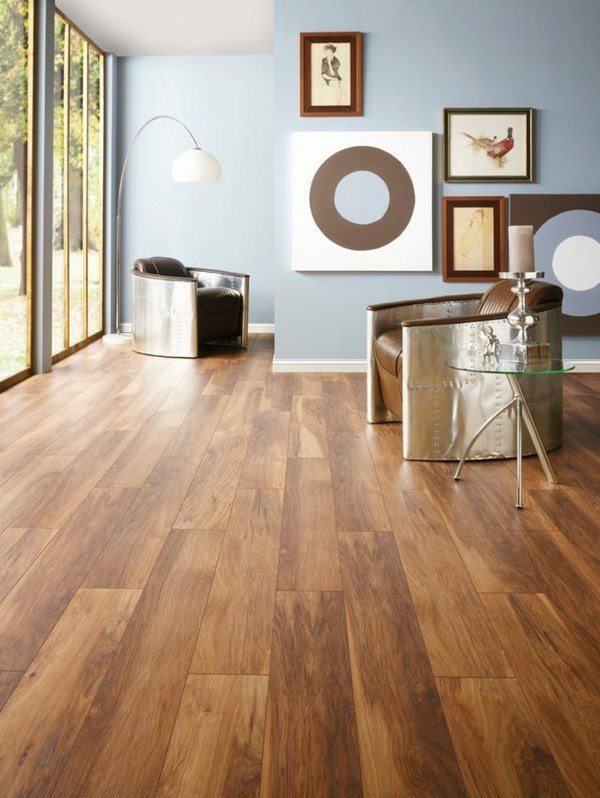 Versatility is another great advantage of laminate flooring. It can be installed in any room of the home, including areas with high levels of humidity – bathroom and kitchen – and you can install the flooring over almost any type of existing flooring – concrete, wood, plywood, OSB, etc. 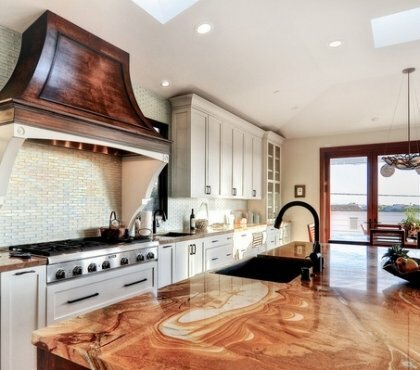 Laminate boards are manufactured to mimic natural wood in texture and grain as well as a variety of other materials – natural stone, ceramic tile, etc. 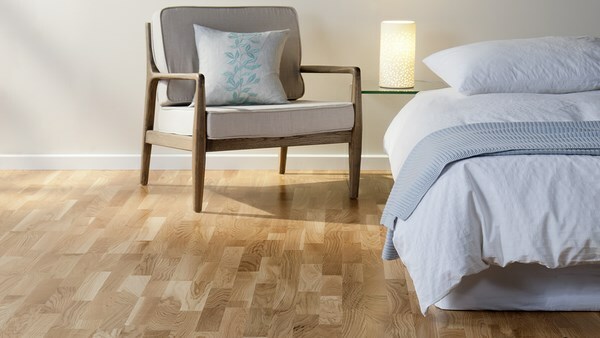 Lightweight – unlike hardwood, laminate is lightweight, easy to transport and comes in planks or tiles. The edges are designed to snap together and the installation does not require nailing which makes this type of flooring an excellent DIY project. Environmental friendliness – laminate flooring is an environmentally friendly product as it does not contain toxic chemicals. Many manufacturers prefer to use recycled wood and in addition, the production process does not release VOC emissions. The floors do not accumulate dirt and bacteria, they are non-toxic and hypoallergenic which makes them safe for kids’ rooms. Functionality – laminate floors are exceptionally functional and can be installed in any room of the home, including wet areas. They feel warm to the touch, they are comfortable to walk on and easy to maintain. 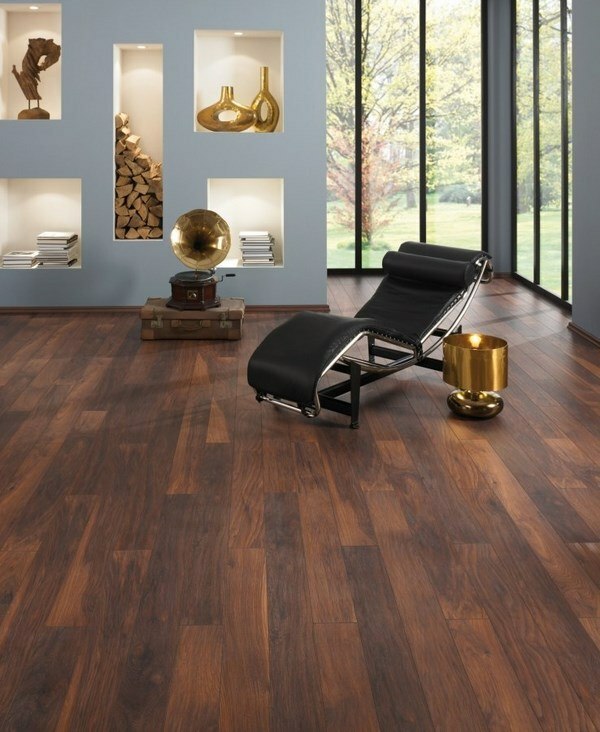 Visual aesthetics – one of the great advantages of laminate wood flooring is their appearance. They not only look great but are barely distinguishable from natural wood, stone, tile or other materials thanks to the development of modern technologies and the high resolution images which give the floor boards a really authentic look. The market offers a wide variety of options, colors, textures and you can easily find the best floor to complement your interior design. 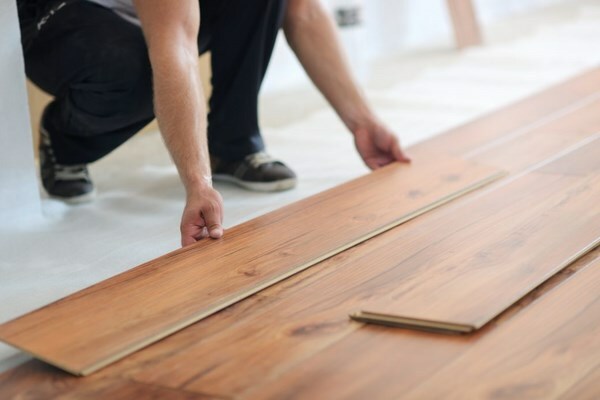 The first type of installation requires a special glue which is applied to the tongue & groove of each plank, floating floor installation as well as factory pre-glued floor planks. 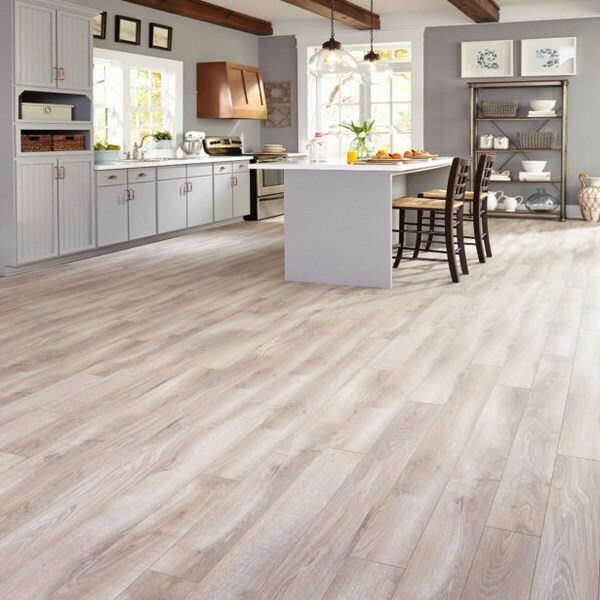 The most popular method of laminate floor installation is the floating installation where the planks are installed on top of a subfloor or an existing floor – plywood, OSB, vinyl flooring, concrete slabs, tile, etc. 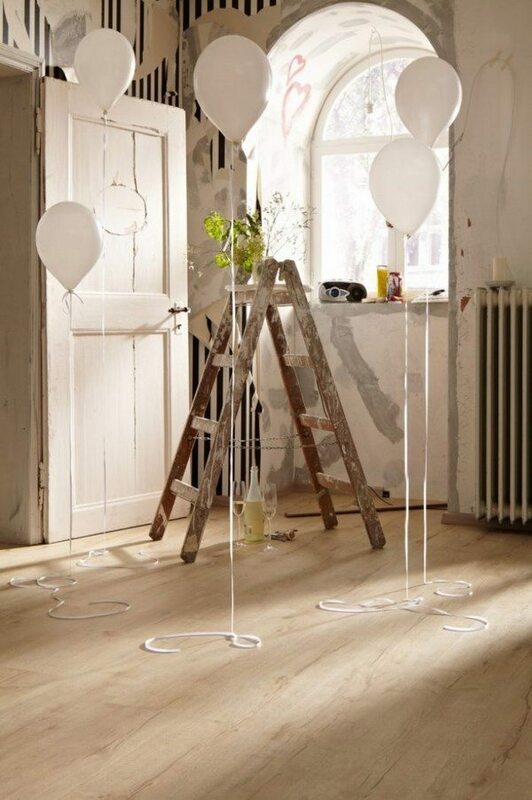 You do not need to fasten or nail the planks to the subfloor. However, you need to keep in mind that the subfloor needs to be level. 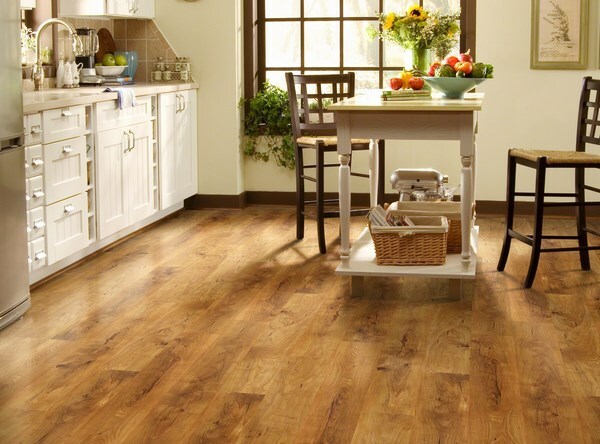 The installation and removal of laminate floors is fast and easy and with the modern click/lock or fold/lock design one could install the flooring of a home in a weekend. You do not need any special tools to cut the floor planks. A simple hand saw works perfectly well. 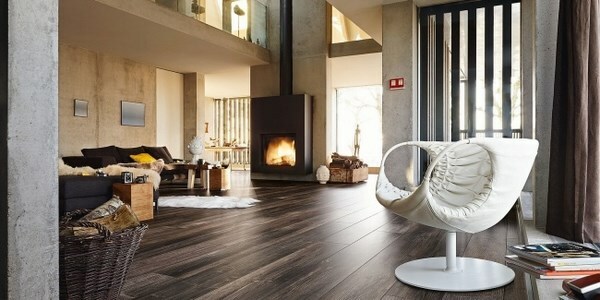 Maintenance of laminate flooring is especially easy. 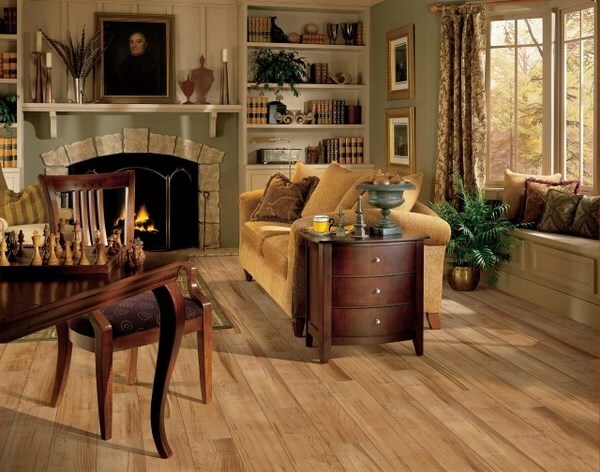 Laminate wood flooring does not require sanding, staining, waxing or polishing. All you need to do is to wipe it with a damp cloth or mop it. Avoid stiff bristled brushes as they may damage the surface and never use abrasive cleaners. 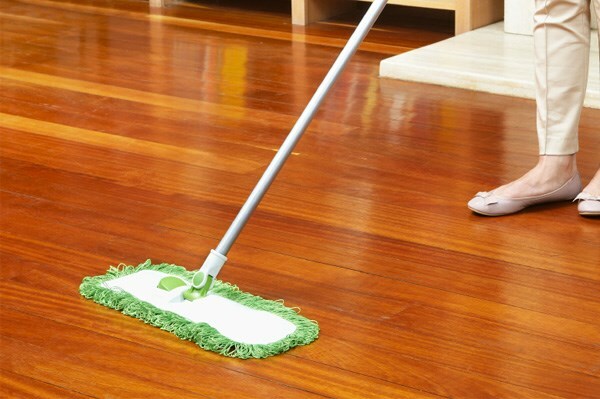 Sweeping or vacuuming daily or weekly will keep the floor clean, just like any other flooring. Spills should be removed as soon as possible and stains are cleaned with special cleaning products which you can buy from almost any store. Stains like paint, oil, tar can be cleaned with acetone-based fingernail polish remover. If you need to remove wax, chewing gum or any other substances from the floor use a plastic scraper with caution so that not to scratch the floor and after that wipe the surface with a soft, damp cloth. To avoid scratches you can place area rugs and special protectors under furniture legs. 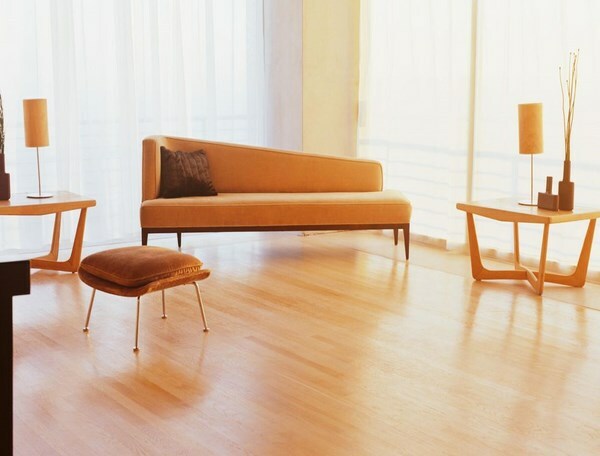 Sliding heavy furniture pieces across your floor should also be avoided. You should not use spray mops, steam cleaners or power cleaners on laminate flooring because excessive moisture can damage the floor planks. 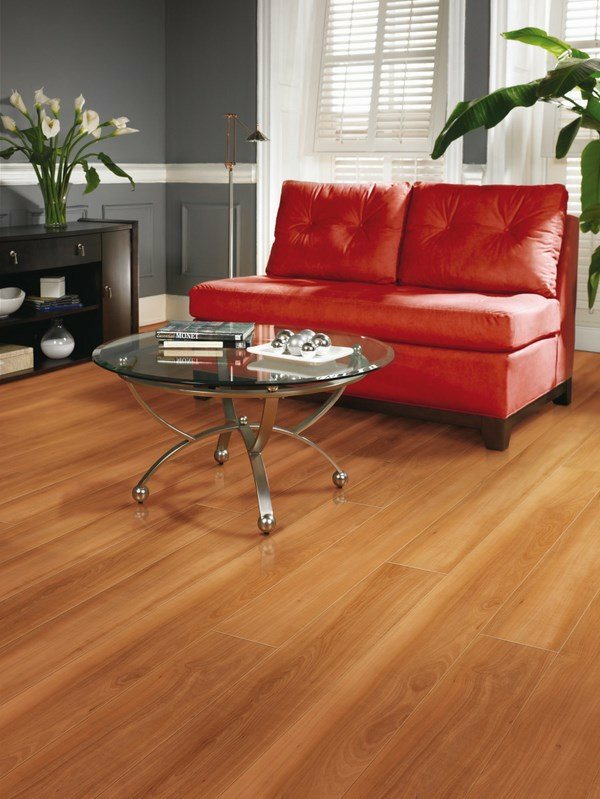 Price – the affordable price of laminate flooring is one of its major advantages and the reason for the great popularity among homeowners. 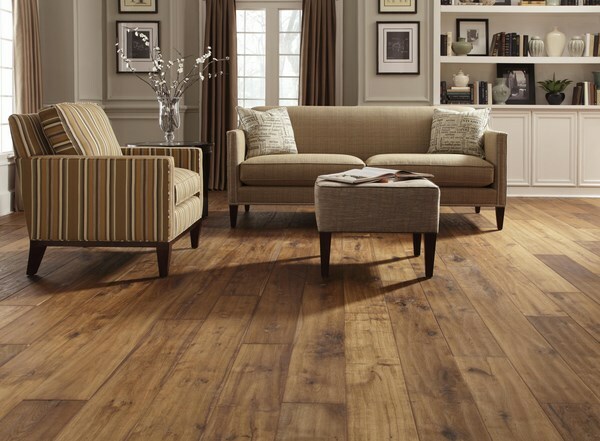 Laminate floors are significantly cheaper than hardwood floors. Prices vary depending on the quality of the material and high end floor planks may be 3-4 times more expensive than lower grades. 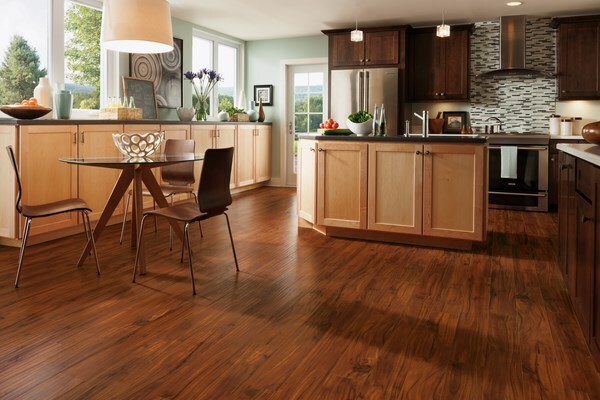 As you can see, laminate flooring has many advantages and benefits to offer. 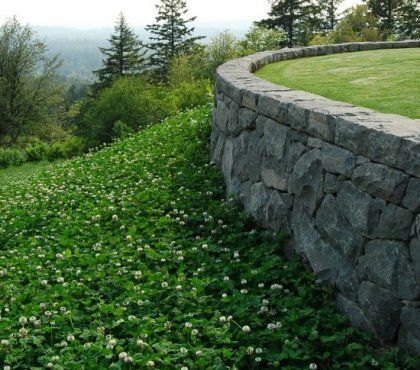 However, like any material it has its drawbacks and you need to keep them in mind. Moisture can damage laminate floors. Yes, they are resistant to water but due to the fact that the core of the planks is made of composite material excessive water may cause the floor planks to swell and expand. The floors can expand and contract as a result of changes in pressure and temperature as well. Laminate floors cannot be refinished. 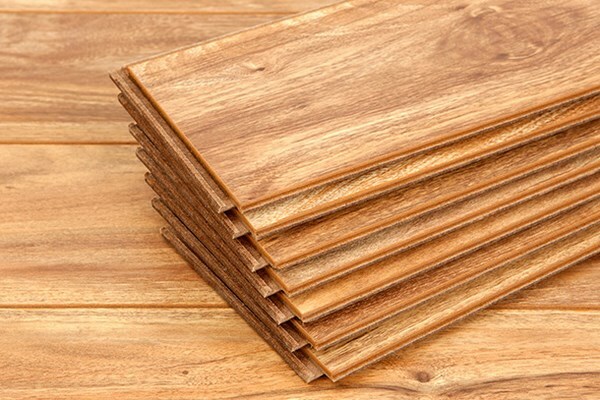 Even though they are very durable, they will eventually wear with time and while a solid wood floor can be sanded and stained, with laminate this is impossible. 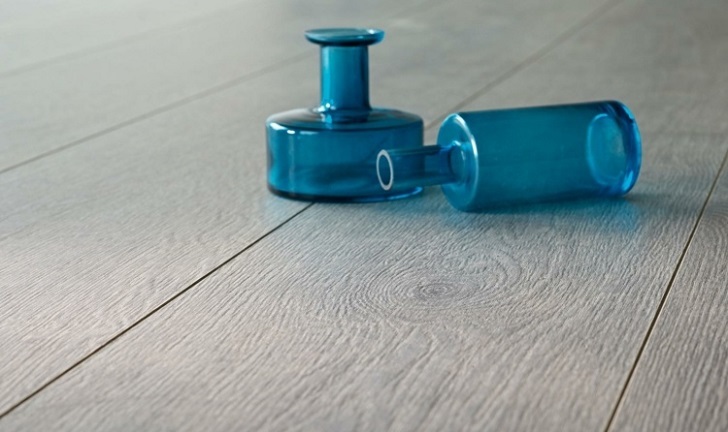 It is a fact that laminate is harder to repair and it is not possible to change a damaged plank, especially if the floor is installed using glue. 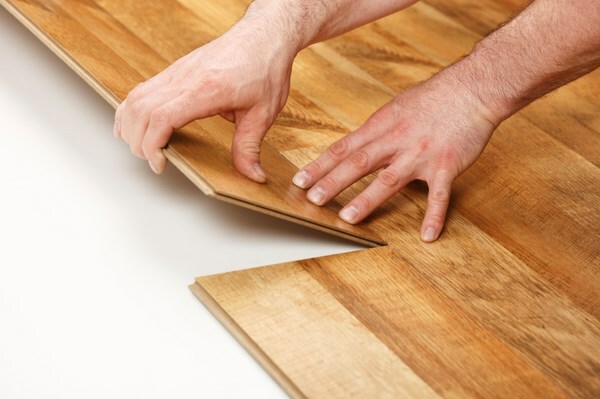 You could replace a damaged plank if the floor is installed by snapping the individual boards or tiles but it is very likely that you will get a “patched” look due to the different exposure to light and wear. 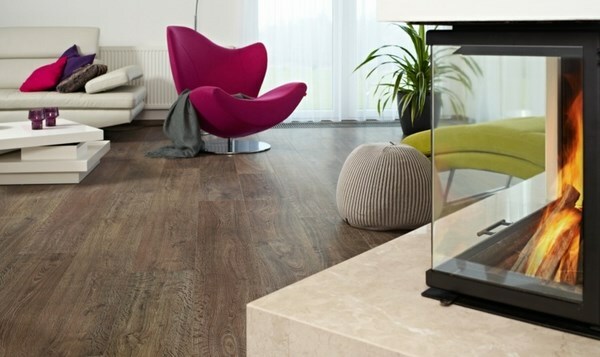 Sound and feel – when walking on laminate floors they produce a hollow sound which underlayment materials may soften a little. Yet, you need to keep in mind that these floors are not exactly “quiet”. Another disadvantage is the feel which you may find unnatural. 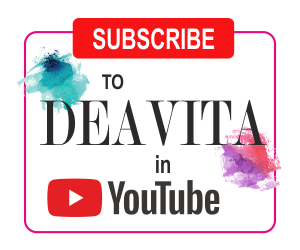 Despite the excellent imitation of natural wood or stone as far as appearance is concerned, you will feel that the material is man-made once you touch it with your hand or barefoot. 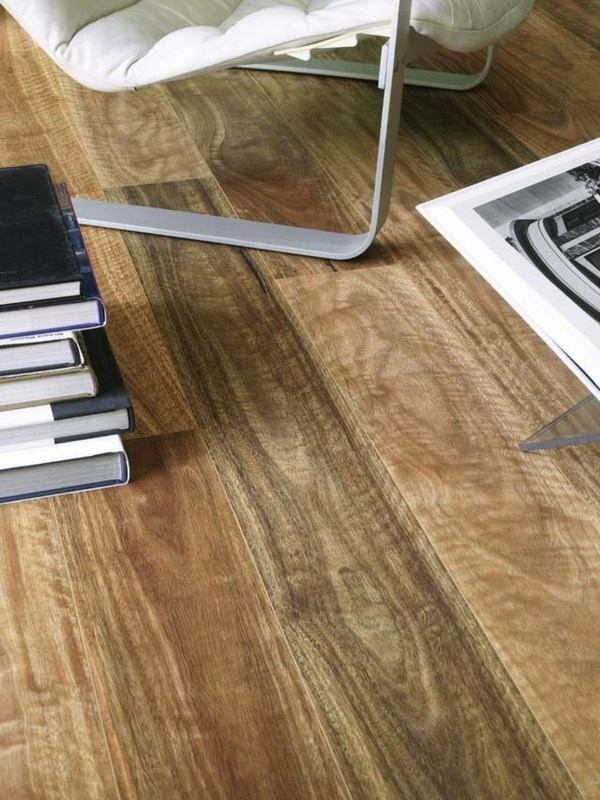 Laminate can feel quite hard as well and when you stand on the floor for a long time. Laminate floors are slippery, even those that are textured, which is another con especially for families with small children and pets. This is a concern to keep in mind when you plan to install such floor in wet areas. Laminate floors are considered to be environmentally friendly but some manufacturers use compounds derived from formaldehyde and release toxic volatile organic chemicals (VOCs) which are harmful and have a negative effect on the air in the room. 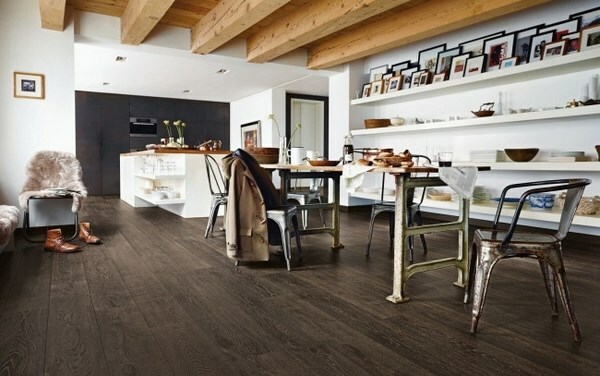 Further to that, the wear layer of laminate floor planks contains plastic which does not degrade in landfills which is another serious concern for the environment preservation. 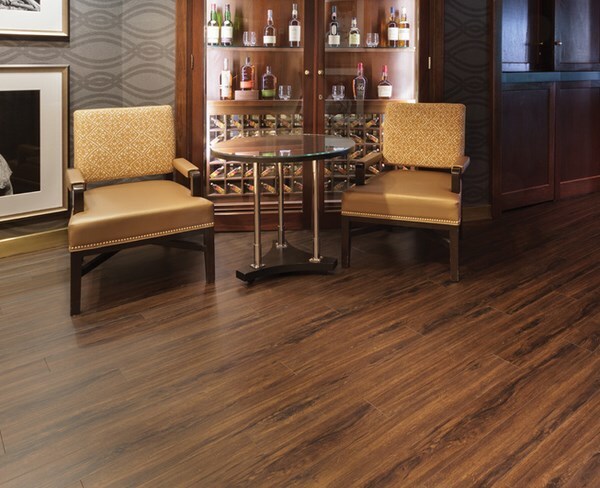 Expected lifespan of laminate floors as guaranteed by manufacturers is typically based on the quality of the material and the thickness of the wear layer. 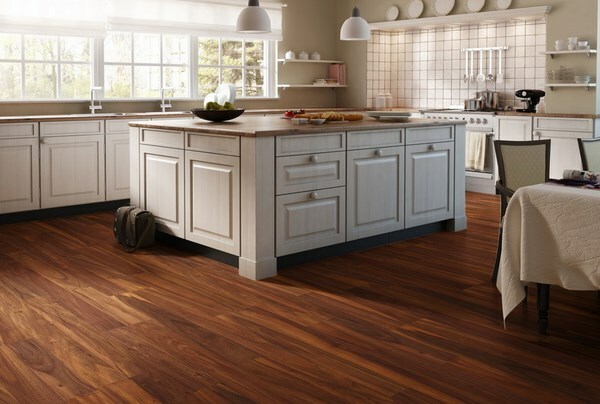 Always check the warranty period before you buy the material for the flooring but keep in mind that you cannot expect from laminate floors to last as long as natural wood floors or natural stone floors. 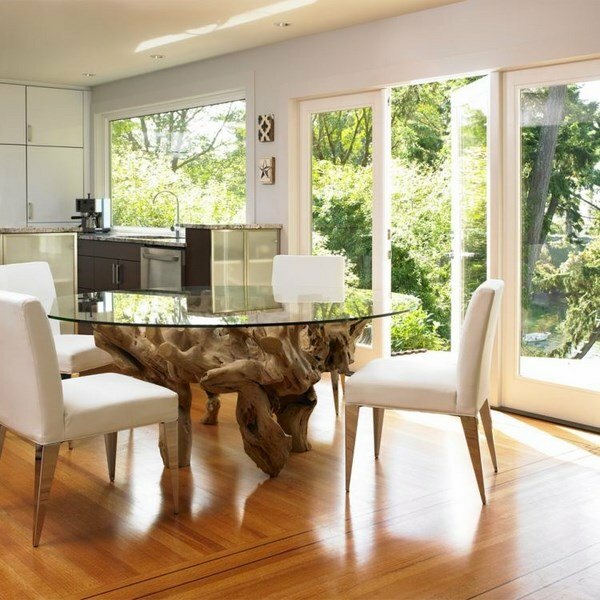 Lower value – laminate floors will add value to your property but not as big as natural materials such as hardwood or natural stone. 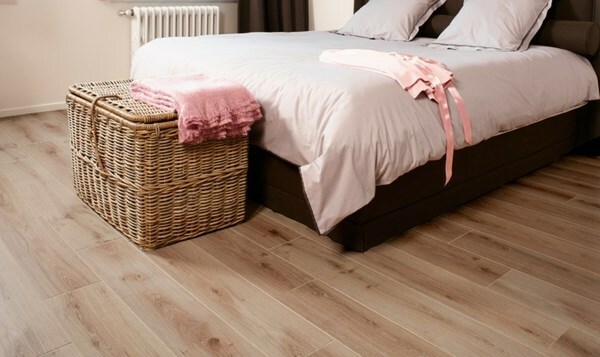 The conclusion from weighing the pros and cons of laminate flooring is that this is a good, durable, aesthetically pleasing and affordable flooring option which is appropriate for installation in a variety of environments. 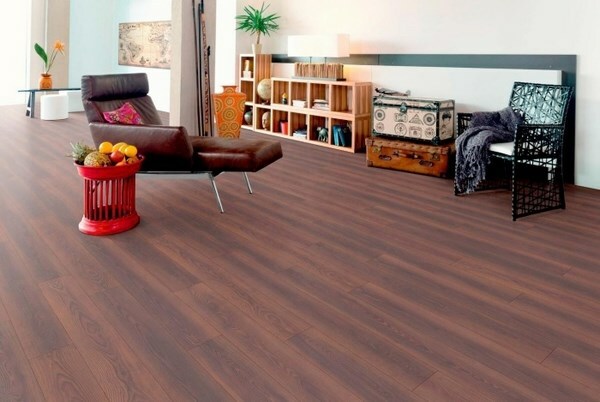 It is suitable for living rooms, bedrooms, kitchens, entry halls and high quality laminate can be installed in laundry rooms, even bathrooms provided you keep in mind the moisture considerations.